Bluesfest reminded us all that this was a music festival designed to include all genres and all ages. As the day two wore on the selection of attire began to change. The younger festival look of lacy flowing hippy chic gear was being brightened up by plastic laes, large parrots, and Hawaiian shirts. 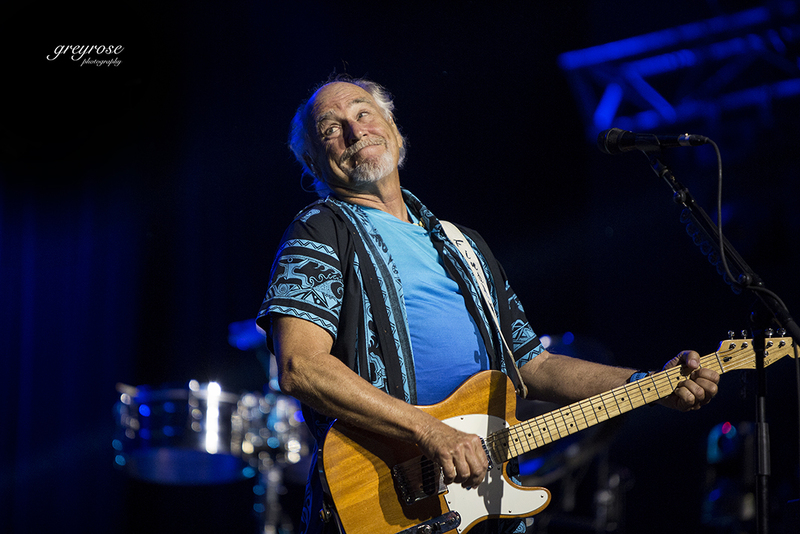 Jimmy Buffet was making his presence felt as the time for his only Australian show neared. The man has created an alternate world for getting away, drinking, living your dreams and believing anything is possible – after the heartbreak of course. The tent was packed, the Hawaiian shirts and parrots bobbed at he barrier through the show. Micheal Chugg was even seen sporting a Jimmy Buffet shirt and was acknowledged as the person responsible for bringing Jimmy Buffet to Bluesfest. On stage as he sang his way through his back catalogue, an impressive one at that, the memories of 1970’s radio returned to my mind. The concert drew a huge crowd but there was still room for other artists to keep the other festival goers entertained. It was evident that Jimmy Buffet was living the life. He beamed and seemed to see a funny side to playing his songs as he sported a pair of 70’s shorts and thongs. Probably his most engaging feature was a youthful, cheeky smile through the entire set. He was genuinely enjoying his one and only Australian show. Bluesfest is also a place for new talent to begin to create their own ‘Margaritavilles’ The Buskers Stage is one avenue for new artists and this year in a more prominent manner Byron Music is hosting jamming sessions next to the food hall. The patrons seemed to enjoy the emerging talent giving it a go as they cued for food. At the centre of the food hall Busking Competition artists are booked in for sessions and a chance to make some money after the competition. Around the corner the ABC stage draws a crowd as The Round Mountain Girls and The California Honeydrops play a few songs and give people an insight into their story and how they got here. Living the dream, following the dream and making it happen is always a big part of Bluesfest, We have spoken to a few artists over the years that have dreamt of coming to Bluesfest and are now there and becoming festival finds and favourites. This year Devon Allman has become a ‘find’. Everywhere you go the comments are all about his amazing guitar skills and less about his ancestry. The California Honeydrops aimed to get to Bluesfest after last years Mullum Music Festival and commented it is one of the best festivals in the world – big enough and very friendly. The Suffers, from Texas, echoed the sentiment by telling their story about being finance brokers, NASA scientists and teachers who gave it up for the dream and arrived at Byron Bay. The crowd was clearly pleased that they did. Bluesfest is the place for dreams to come true and for people who are living the dream to show others how they did it, so as Bluesfest comes to a close for another year, good night and sweet dreams. Previous A rainbow after the storm.